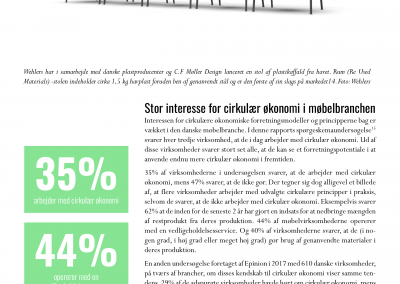 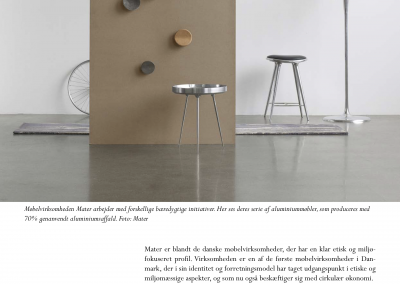 Copenhagen Design Agency has conducted a survey and written a report on circular economy in the Danish furniture industry. 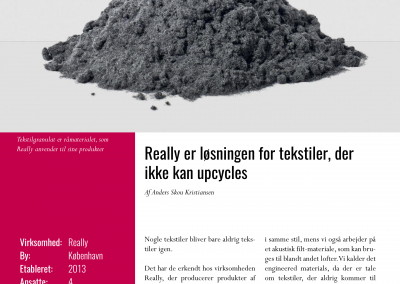 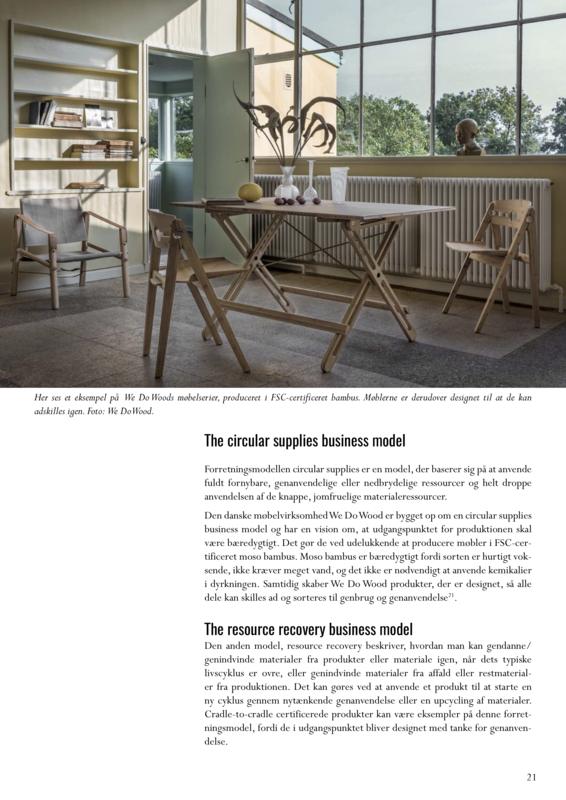 The report is published by National Circular Economy Hub and Lifestyle & Design Cluster in Denmark. 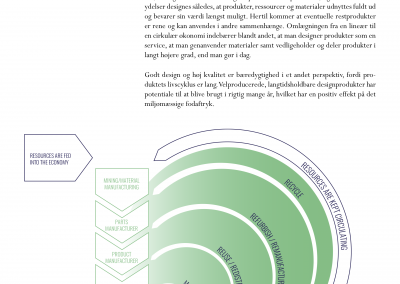 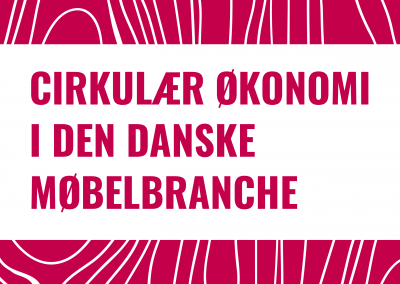 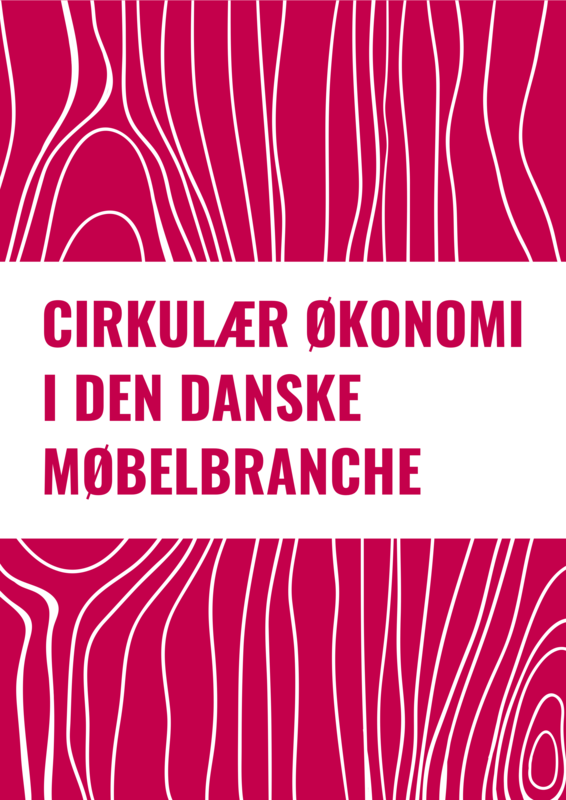 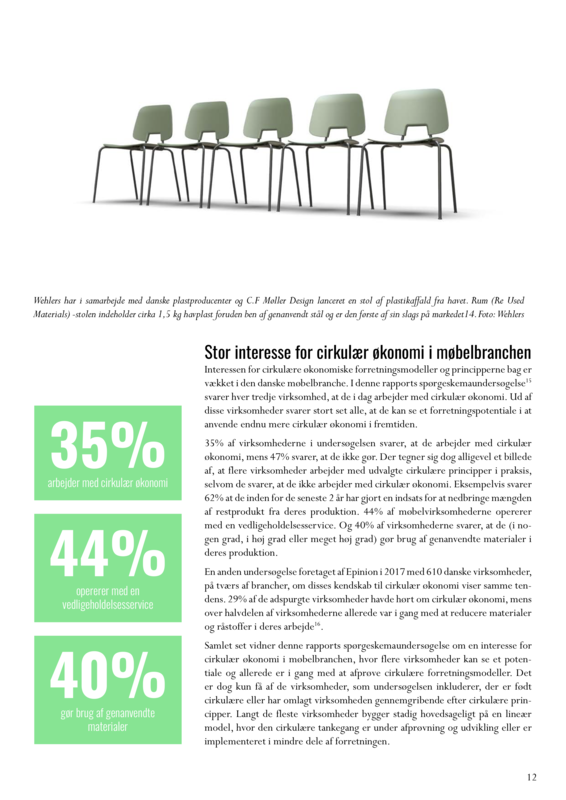 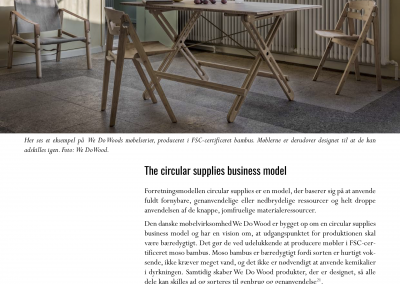 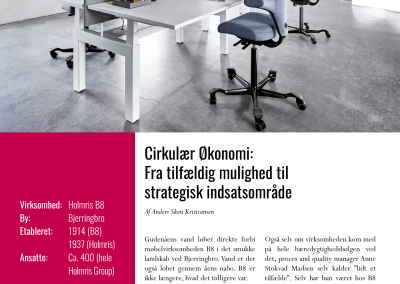 The report provides insight into circular economy in the Danish furniture industry and draws a picture of some of the challenges facing companies today. 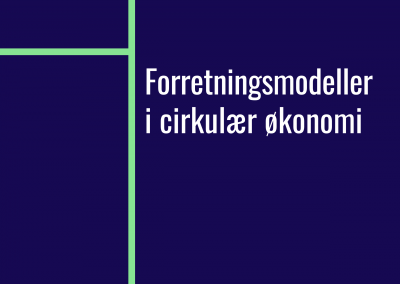 The report also outlines development potentials and prerequisites for more circular economy in the furniture industry in the future. 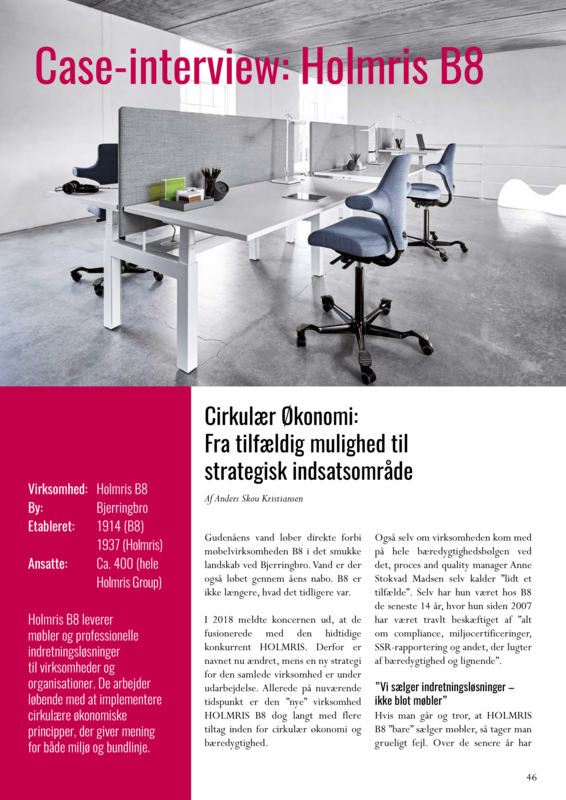 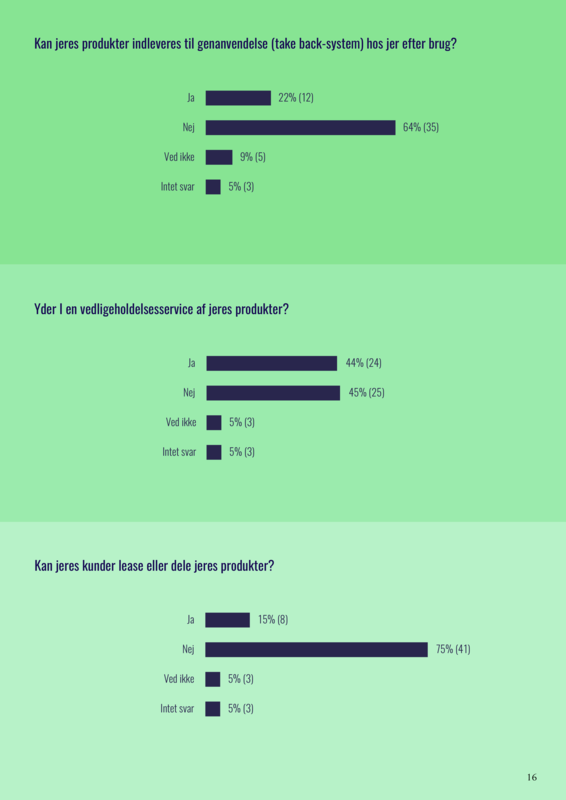 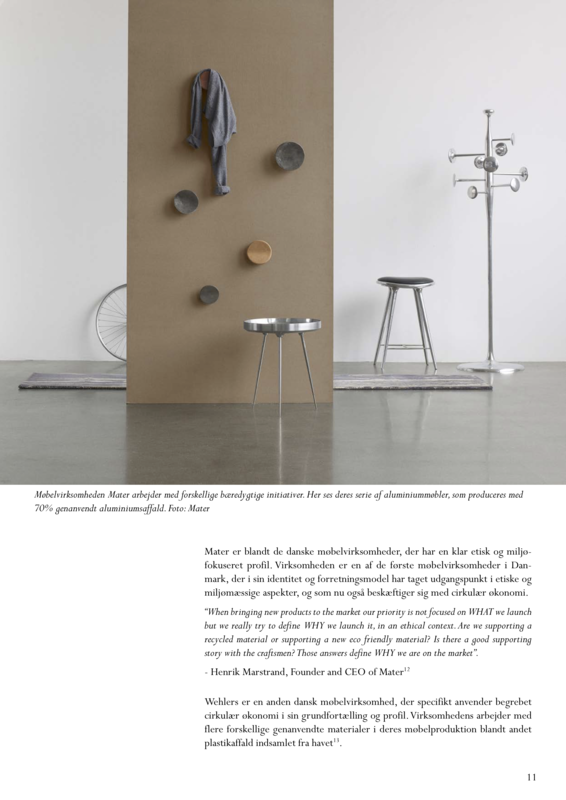 The report is based on a survey among companies in the Danish furniture industry, follow-up interviews with Kvadrat, We Do Wood and Skagerak, as well as case interviews with Really, Holmris B8, 3R Kontor, Kvist Industries, Højer Møbler and TrÆls. 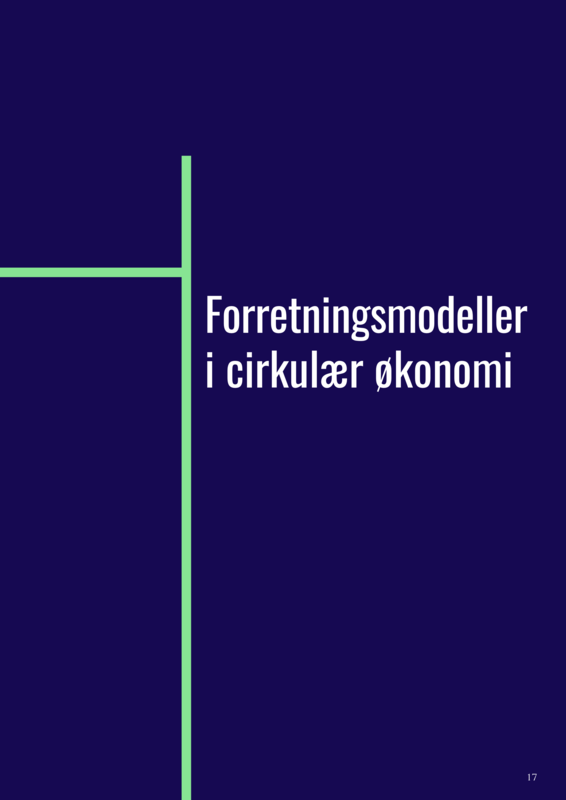 Furthermore, Mater and Wehlers are included as examples in the report. 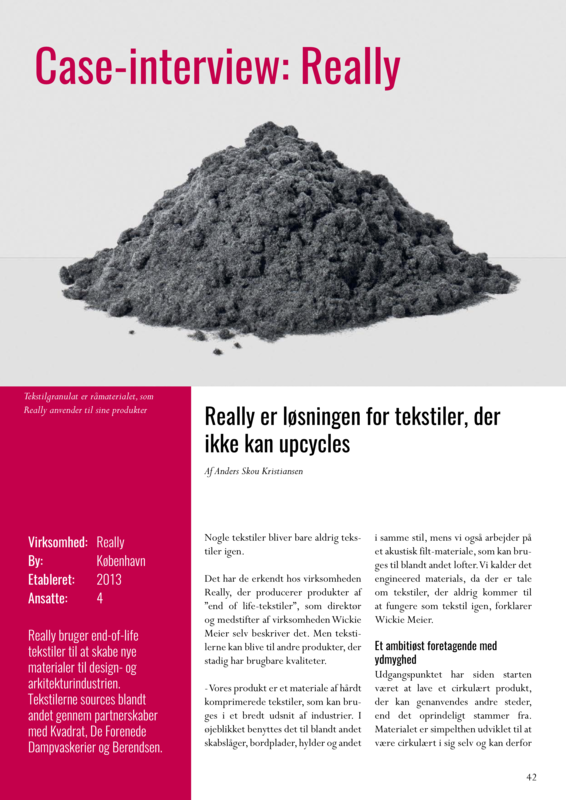 In addition, the report has expert interviews with Arne Remmen, Professor at Aalborg University, who researches sustainable transitions in production and consumption, and Heidi Simone Kristensen, PhD at Aalborg University and 3R Kontor. 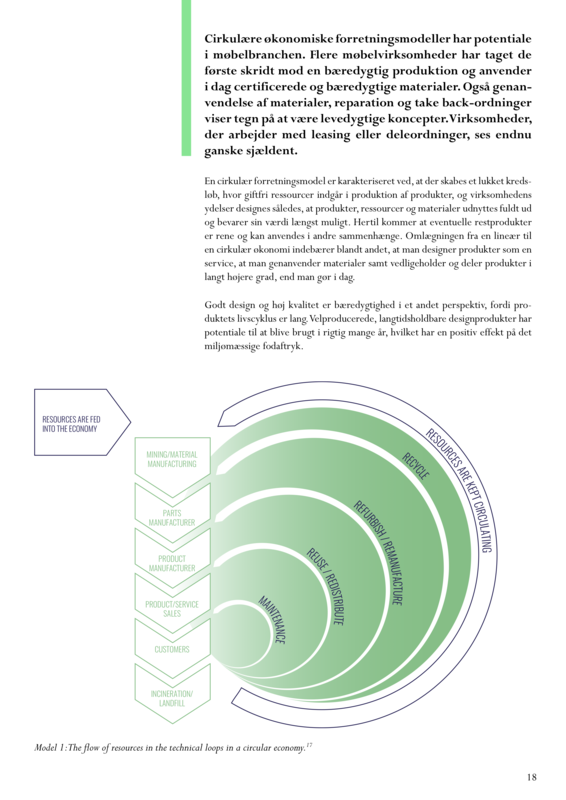 The report draws on knowledge from other publications, studies and research articles that help to record the general challenges of transition to circular economic, to highlight both global perspectives and future potentials in relation to circular economy.